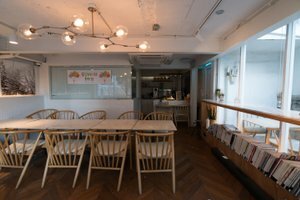 Situated in dynamic area of Itaewon close to the subway station, this dynamic loft is an excellent location for brands to host a Evening Events or Pop-Up Stores. With a bright frontage and entirely glass display windows, this studio offers good visibility and the space is filled with a bright natural light. The refined interiors of track lighting and hardwood floors make this space beautiful. 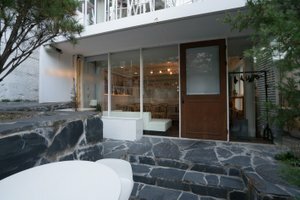 With an elegant cozy room and private windows there is a dim atmosphere. Boasting a stock room, counters and fitting rooms this space is well-equipped for Evening Events and Pop-Up Stores. This space is in a prime location. It is an exceptional opportunity in a highly sought after area and perfect for artists and designers to curate their ideal pop-up experience.